14th August 2017 completes 36 years for the release of Amitabh Bachchan Ji's movie 'Silsila' (The Affair, 1981). The advertisement proclaimed boldly, “Love is faith and faith is forever”. The movie was controversial right from the beginning much before its release date especially with extra marital themes addressed boldly by Yash Ji in his film. The original cast was Padmini Kolhapure but it did not work out as she was tight on time with her dates and availability. Then next choice then made was Parveen Babi and Smita Patil. Both were not considered apt for the roles and were eventually dropped from the choice list. The film witnessed average business at box office and was trashed by the media then as 'silly sila'. However, today's age the film has gained a strong cult and is considered to be classic. The movie's soundtrack became "super-hit" upon the release and still continues to be equally popular. Silsila was shot in Yash Ji’s house in Kashmir, Delhi and Netherlands. Netherlands is another beautiful country in Europe, where the evergreen song ‘Dekha Ek Khwab’ featuring Amitabh Bachchan and Rekha was shot. “Dekha Ek Khwab To Ye Silsile Hue” the popular song from the movie is also the first Hindi Film song release written by Javed Akhtar after the duo Salim-Javed split. Tunes were composed by Shiv Hari. It is learned that Javed Saab ended up spending one full day with composers and words started flowing like a river end result was a musical hit song. 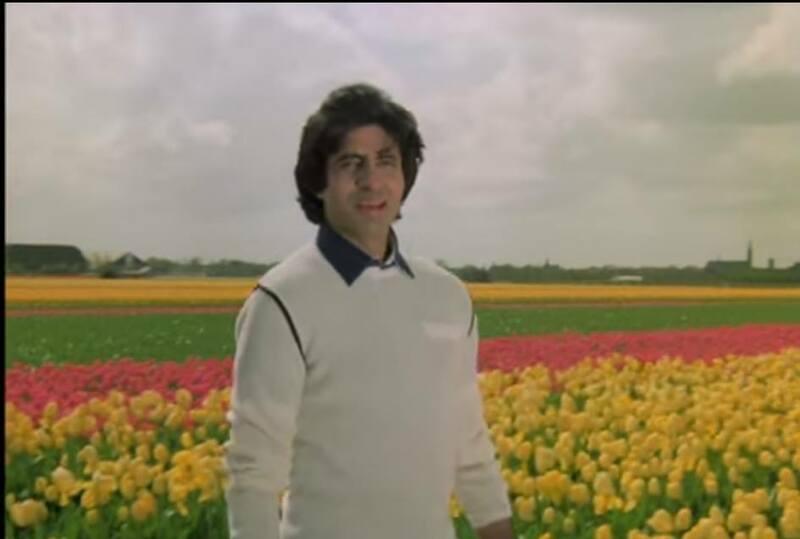 The song was shot at Keukenhof Tulip Garden, Netherlands giving more power to the lyrics "Dur Tak Nigahon Mein Hai Gul Khile Huye" with Keukenhof. Keukenhof (Kitchen garden) is also known as the Garden of Europe, and is situated near Lisse, Netherlands, and is the world’s largest flower garden. Several hit movies and songs from our Indian Film Industry have been shot here. The costumes worn by Amitabh Bachchan in the movie were his own clothes. 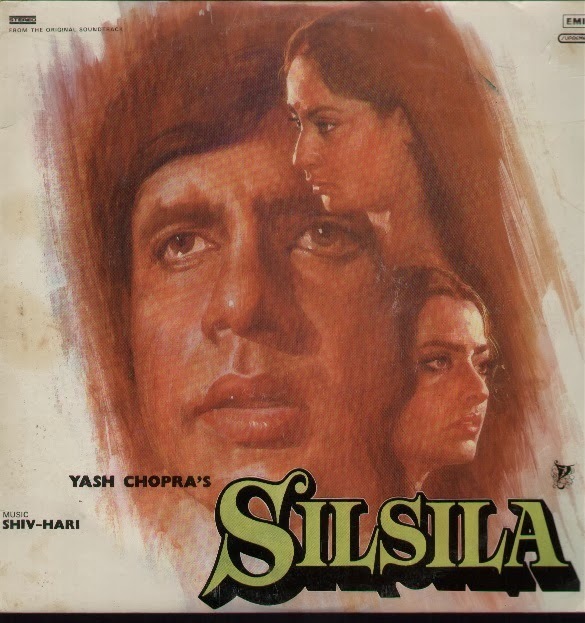 Yash Ji's choice of lyricist had always been Sahir Ludhianvi and he was his obvious choice when it came to “Silsila”. He never replaced Sahir with anyone else until Sahir passed away. It is learned that Yash Ji had requested Sahir Saab to write all the songs for the movie within five days. Sahir Saab said, "He would give all the required songs after a span of two weeks only and not a minute before". He did not understand the obvious reason why this rush in delivering it within next five days. The reason, the music director was busy post seven days and Lata Mangeshkar Ji was travelling abroad for 10 days. Yash Ji’s recording staff had kept the pot in place for whatever was required to complete the recording. Sahir Saab was deeply hurt as he felt his very own viewpoints were not considered at all even while the recording dates were being planned by Yash Ji. He bluntly refused to write any songs for the movie “Silsila”. Yash Ji tried to convince Sahir Saab there were many lyricists ready to write all the songs within two days but he still wanted him only to write all the songs. Sahir Saab said, “In that case, he should go with other lyricists and have the songs written from them”. The end result was an abrupt end of this long professional relationship they both shared over a decade. To sum it up I would quote this song from the movie “Silsila” here, “Yeh Kahaan Aa Gaye Hum Yunhi Saath Saath Chaltey”. “Love is faith and faith is forever”.